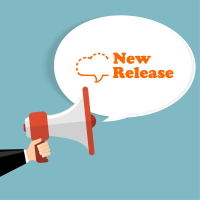 We have just published a new release of MeaningCloud that affects Topics Extraction, Lemmatization, POS and Parsing, and Text Classification APIs. Although there are several new features in terms of new functionalities and parameters, the most important aspect of this release lies under the hood and essentially consists of a refactoring of the way in which concept-type topics are internally handled, much more in line with the use of other semantic resources. This lays the foundations for better performance and new features related to the extraction of this type of information. Sty tuned for great improvements in this area in future releases. The other two great lines of this release are the enrichment of the morphosyntactic analysis with information extraction and sentiment analysis elements (which enable new and richer types of analyses that combine the text’s structure with topics and polarity) and a new predefined classification model.